Seth Rollins is a Royal Rumble winner who will have a Universal title shot at WrestleMania - but memories of the doubts he had when he first arrived in WWE are never far away. Rollins won the Rumble last month for the right to face Brock Lesnar at the April extravaganza in what will be one of the biggest matches of his career. He goes into that contest with a huge level of support from WWE fans and having firmly established himself as one of the top competitors on Raw. It is a situation, however, which seems very far from his beginnings in Florida Championship Wrestling, the company's developmental precursor to NXT. Back then, Rollins was blond and ambitious, and while he doubted himself initially, he quickly realised he would be just fine - in Florida, and beyond. "Coming from the independents I felt a lot of pressure because I didn't want people to feel it was all hype," said Rollins, who signed with WWE after a strong independent career which included a run as Ring of Honor world champion. "But I was also pretty intimidated going into FCW. I felt WWE developmental was the big time and that I was going to have trouble keeping up and these were going to be the best athletes in the world. "Luckily when I got there I realised that I was pretty good. Guys I had worked with previously - Daniel Bryan, Nigel McGuinness - were some of the best in the world and I got a lot of experience from them. "Coming into FCW I quickly realised that I was up to the task." That verdict might qualify for some type of understatement award considering Rollins was a singles and tag-team champion in FCW and the first-ever holder of the NXT title. And all of it was achieved with a distinctive blond streak which continues to be a topic of conversation for the Kingslayer today. "The question I get more than anything now is 'when are you going to bring the blond streak back?'" 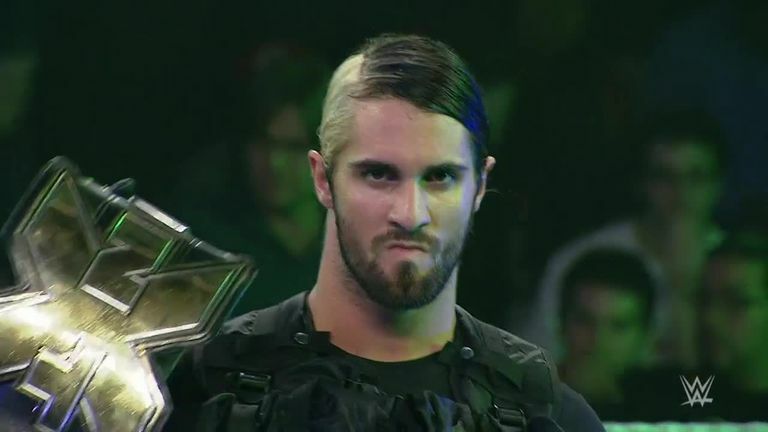 Rollins said. "At the time there were so many guys with long hair and beards in FCW. I needed to do something to change it up and to stand it. "I thought 'what's it going to hurt to dye half my hair?' And it worked." Seth Rollins takes on Brock Lesnar for the Universal title at WrestleMania, live on Sky Sports Box Office on Sunday April 7.